It is relatively rare in jazz to encounter a musician willing to use the studio to layer and sculpt their work in the way that a rock or pop artist would do as a matter of course. Of course, there have been some very notable exceptions – two of the most obvious being Herbie Hancock and Miles Davis, with several of the latter’s most celebrated albums (eg. In A Silent Way) being primarily created in the editing and mixing – but they largely belong to an earlier time as the mainstream of instrumental jazz seems to have gradually shifted back in favour of an entirely ‘live in the studio’ philosophy in recent years. One of the most consistently innovative jazz performers of his generation, Brad Mehldau has employed both approaches over the years on solo, trio and larger group efforts, to equally winning effect. Outside of jazz he is perhaps best known for his startling reinventions of pop/rock material such as Paul Simon’s ’50 Ways To Leave Your Lover’, Jeff Buckley’s ‘Dream Brother’, and Radiohead’s ‘Paranoid Android’. But increasingly it has been his own self-penned material that has attracted the lion’s share of plaudits. 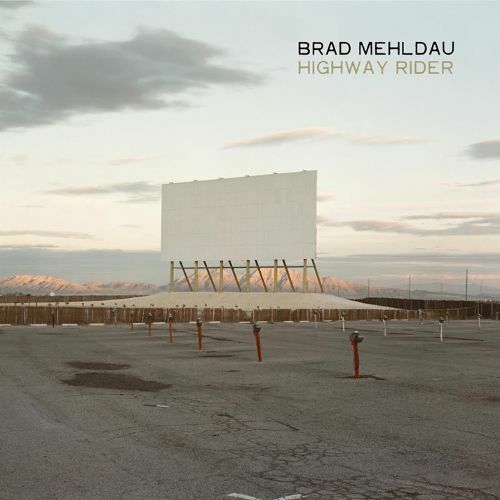 It was certainly with his original material to the fore that Mehldau embarked upon the recording of his 2010 double album, Highway Rider, which remains arguably his most ambitious release to date. Although featuring some more conventional modern jazz pieces – in particular the thrilling second-disc highlight ‘Into the City’ – Highway Rider is more notable for its experimentation with unexpected instrumental colours (check the woodwind and percussion on opener ‘John Boy’) and classical structures involving full orchestrations. Indeed, one of the most striking compositions here, ‘Now You Must Climb Alone’, dispenses with Mehldau’s piano entirely in favour of Samuel Barber-esque strings. The piece that it flows into without interruption, ‘Walking the Peak’, is similarly widescreen in feel but more tied to the norms of jazz thanks to the addition of regular accomplice Joshua Redman’s tenor saxophone. Elsewhere, there is a compelling sense of space and openness in evidence on many of the compositions here, notably the title track – which is founded upon an endlessly skittering drum part by Matt Chamberlain and gradually builds towards a gently euphoric climax – and the highly percussive ‘Capriccio’. The various artistic excursions undertaken throughout Highway Rider finally reach some kind of unified destination on the closing pieces of the second disc, ‘Always Departing’ and ‘Always Returning’. The chamber-sized orchestra conducted by Dan Coleman returns for two pieces that move through several distinct sections but which are frequently anchored by some thrilling ensemble playing and Mehldau’s prodigious gift for melody. Beautifully recorded by Gregg Koller and Eric Caudieux, Highway Rider must owe some of its remarkable cohesion – given the undoubted diversity of the material – to the involvement of producer Jon Brion. Through his work with Aimee Mann, Rufus Wainwright, Robyn Hitchcock and others, Brion became a virtual byword for artistic rigour and integrity during his late ‘90s rise. Today he remains in-demand as both a producer and, increasingly, a film score composer, with Paul Thomas Anderson’s Magnolia and Greta Gerwig’s Lady Bird among his many credits. 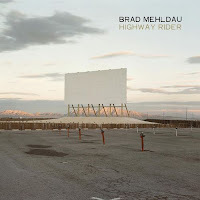 Together Mehldau and Brion produced something truly special during the three weeks of sessions at Hollywood’s iconic Ocean Way Studios that resulted in Highway Rider, and it is to be hoped that they are reunited on a future project. In the meantime, should this album whet your appetite, there is a lengthy discography of other Mehldau releases that are worthy of your time, of which I would recommend House on Hill (2005, recorded with the Brad Mehldau Trio), Modern Music (2011, with fellow pianist Kevin Hays), and Ode (2011, again with the Trio) most enthusiastically. Coming right up to date, Mehldau has just released (as of March 2018) a new album, After Bach, pairing solo performances of compositions by Bach with Mehldau-written pieces that were inspired by them. It’s a dense, near-70-minute work, and as such I don’t feel I have begun to get to grips with it yet – but as with most of Mehldau’s work, I have no doubt that it’s verve and inventiveness will repay repeated listening over the weeks and months ahead.